How to prepare for yoga complex? Actually, yoga was not at first intended for weight loss. But like any exercise, it helps to lose weight. You should consider that it is not the most effective way to quickly lose extra kilos. However, yoga is the most reliable of all. People all around the world already practice yoga asanas for weight loss. In addition, this activity helps to harmonize the work of the whole organism. It develops more flexibility, lines smoothness and elegance to the body. We offer you essential yoga asanas for weight loss. They will perfectly cope with extra kilos. And in general, will help you in building the perfect body. While doing them, try to relax as much as possible. Enjoy every asana. And you will see that soon your health improves. Moreover, it helps to clear the mind. So the good mood and feeling of happiness after exercise complex are guaranteed. Good luck! It is known that yoga consists of asanas. We provide you with exercises and poses effective in the process of weight loss. Be ready for deep and qualitative changes. You will need to combine right breathing techniques with the physical load. Best of all, yoga for weight loss work with a change in diet. These are simple tips that everyone knows about but often does not follow. Do not eat bakery products. We guess everyone saw this position. Moreover, it even competes with the lotus pose in terms of the popularity of the yoga asanas. Everything is because it is one of the most important and useful poses. It is a perfect example of yoga for weight loss. It has such features as the relatively simple performance. Besides, the absence of complex exercises on flexibility or endurance. Despite this, this asana works deeply into the body. It acts not only on the physical level but also mentally. The tree posture balances physical and emotional health. And besides, it is very self-confidence developing. The pose of the tree is a very strong energy asana. It improves the exchange of energy. Since all the chakras line up in one line. The four elements in our body are in harmony. Air – opens the lungs, water – adjusts the flow of fluids, fire – strengthens the will and self-discipline and earth – calms. Vrikshasana is very beneficial to the nervous system. If you are worried or nervous, just try a tree pose! You will be surprised how quickly you calm down and acquire a calm state. In addition to the internal emotional balance, the tree pose perfectly develops the vestibular apparatus. It also improves stability and a sense of balance. And this, in turn, increases the reaction rate. And improves memory and attention. On the physical level, tree posture contributes to the normalization of metabolism. This yoga for weight loss straightens the back, opens the shoulders and chest. Due to this, the posture improves. It increases blood circulation in the legs and improves the work of the vascular system. Which, in its turn, allows the legs not to freeze even in winter. And among other things, the tree posture strengthens the immune system. As well as all balance asanas. Stand with your legs together, arms down along your body. While inhaling, stretch the head upward and try to straighten your back as much as possible. Do it bending the inwards so that the spine becomes straight. As if all the spine parts are under each other. Strong reliance on the feet. While inhaling, lift the bent right leg. Then press the right foot into the left thigh. Heel near the hole. Toes strictly looking down. You can help to place the foot comfortably by hand. The right leg knee is inclined to the side. The hips should be at the same level. The pelvis does not go to the side. The foot of the bent (right) leg is actively pushing the hip of the supporting (left) straight leg. While inhaling, raise your hands. They should be joined like for a prayer in front of your chest. Or join them together. Palms pressed to each other. The gaze does not wander. And is fixed at one point at eye level. It helps to maintain balance. Hold the asana for 5-7 breaths. While exhaling, lower the leg and arms. For beginners: you can perform this kind of yoga for weight loss standing at the wall. This asana perfectly stretches and strengthens the leg muscles. It stimulates the work of the abdominal organs. In its turn, it normalizes digestion. Besides, opens the thoracic section and improves the lungs functioning. And also it stretches the spine. Anjaneasana greatly develops the balance. And therefore self-confidence and right self-esteem. In addition, this kind of yoga for weight loss balances the nervous system. Besides, it reduces emotional tension and fills with energy. Stand in the pose with your face down. As you exhale, step with your right foot forward. Then place your foot between your palms. Make sure that the right leg knee is strictly above the heel. That is to form a right angle in the right leg knee. Lower the left leg knee on the floor. Start to slowly slide back with your left leg. Do it to feel a slight strain in the left hip. Keep the right leg knee in the same position. Press the left foot to the floor. Or leave it on your fingers. It is as stretching allows. While inhaling, straighten the body vertically. Lift the arms upward, joining them together with your palms. Pull the tailbone down. Chest – up, shoulders do not move. Put your head back a little and look up. Hold the asana for 5-7 breaths. As you exhale, bend the body towards your right foot. Lower your arms and put your left foot on your fingers. On the exhale, lift the left knee and return to the face-down pose. For beginners: you can perform this yoga for weight loss standing at the wall. Also, to maintain balance, you can not lean your head back. But look ahead. This kind of yoga for weight loss has a simple technique. Despite this, asana has a very beneficial effect on the entire body. This position is extremely useful not only for the abdominals. It also strengthens the back and legs muscles. So doing this asana, the fit and toned body is guaranteed. During the exercising, there is an increased blood circulation in the abdominal area. Due to this, asana improves digestion and relieves back pain. Besides, it also speeds up the metabolism and regulates the thyroid gland. Sit with a straight back and straight legs. Hands on the floor at hip level. Or slightly behind them. As you inhale, pull the head up and put your back up. On the exhale, bend your back and lift straight. For beginners, you can lift your legs bent at a right angle. So that you can keep a 90-degree angle between your body and legs. Keep your back straight and not rounded. If it is very hard, you can bend your knees. Then the legs should be parallel to the floor. Find balance and raise arms straight parallel to the floor. The palms are looking at each other. Hold the asana for 5-7 breaths. As you exhale, lower your legs and arms. For beginners: you can perform this yoga for weight loss with legs bent at the knees. Legs are parallel to the floor. If it is very hard, then you can put your hands on the floor. But do not lean heavily on them. The camel pose is one of the asanas, which effectively tones the entire body. Besides, it gives a lot of energy. Ushtrasana strengthens the whole body. It influences shoulders, back, chest, arms, abs, and hips. In addition, it makes the spine flexible. And the posture becomes straight and beautiful. This kind of yoga for weight loss helps to normalize the hormonal system work. As it improves the functioning of the thyroid gland and other glands. It also improves blood circulation and cleans the blood. Stand on your knees. Place them on the width of the pelvis. Hands are free to go down along the hips. While inhaling, stretch the body upwards. Do it as if pulling the sides upwards and lean back. Then put your palms on your heels. Or the feet, if it is difficult and that is to put the palms under the waist, supporting it. On the exhale, bend in the thoracic region. The head is inclined. Keep the body at the expense of the very intense legs. Especially in the buttocks and thighs region. Do not lean on your arms. Do not throw back your head, but just pull it back. Do not wrinkle the waist. But try to stretch the whole spine. Do it opening the thoracic region and pulling up the abdomen. Hold the asana for 5-7 breaths. Slowly lower your arms and slowly sit on your heels. For beginners: you can put your feet on your toes. Do it to raise the level of hands’ support. Or you can just put your palms on your lower back. Cobra pose has an amazing healing effect. As it develops flexibility and strengthens the whole spine. This kind of yoga for weight loss improves the muscles of the arms, back, and buttocks. Due to the soft the internal organs massage, digestion is normalized. Pain during menstruation is also reduced. This asana has a beneficial effect on hormones. It normalizes the urinary organs work and the function of the adrenal glands. It is also believed that Bhujangasana revives “internal fire”. That is, it contributes to the increase of internal energy. It is important! While thyroid gland diseases, the head does not need to be turned back. But it is better to lower the chin to the chest. Also, do not practice this asana while the spine or joints injuries. Lay your belly down on the floor. Legs stretched out and together. Toes on the floor. Palms under the shoulders. While inhaling, slowly lift the body without leaning on the arms. They are bent at the elbows. And only fix the position. Do two breathing cycles and lift the body again. Do it bending in the lower back and thoracic region. Only feet and palms should touch the floor. Straighten your arms. Lengthen your neck all the time. Take your shoulders away from your ears. Tighten the muscles of the buttocks and back. Legs are together, Strain your knees. Hold the asana for 5-7 breaths. As you exhale, bend your elbows. Then slowly lower the body onto the mat. For beginners: for a start, it is worth mastering the sphinx position. The deflection is not so strong. The belly and elbows are on the floor. The top stretches upwards. Having decided to practice yoga for weight loss, you need to start. The beginning should not be too tiresome and inspiring. When choosing a set of exercises, listen to your inner mood and state of health. In such a way, you will solve several problems at once. To begin with – Iyengar yoga for weight loss. This direction describes each asana in detail. Gradually complicating the task, it provides static loads. Perfect for those who like to start any exercising gradually. Not suitable for too energetic people seeking constant dynamics. The complex makes the body strong and flexible. Besides, it affects the mind and energy. Therapeutic effect – Sivananda Yoga for weight loss. This direction has a complex approach. It combines the correct asanas performance with spiritual practice, nutrition, meditation, breathing, and relaxation. It strengthens the spine, improves the circulatory, endocrine, respiratory systems. Moreover, it improves health and prolongs youth. Suitable for anyone who does not separate weight loss from spiritual practice and health. Not suitable for those who are only interested in physical activity. Yoga for slimming the abdomen and other problem areas – Power Yoga for weight loss. The complex is performed continuously with calm music. Asanas are connected into a chain. So that one part flows into another. The body becomes tightened. The oxygen flow to the tissues actively burns fat. Suitable for young and energetic people. There are several levels of difficulty in the system. But not one of them is suitable for elderly people. For beauty, youth and health – Kundalini Yoga for weight loss. These simple techniques will suit anyone who wants to develop their potential. A powerful effect is achieved due to the asana duration. Although Kundalini is considered the female practice, it is also suitable for men. Not suitable for religious people. Hatha yoga for weight loss is a concept that unites all the above asanas. Hatha Yoga for weight loss is valuable because it teaches you to manage energy. Besides, to really improve the quality of life. Practicing it, you will improve your body and awaken hidden reserves. Besides, learn to concentrate on work, fully relax in a short period of time. If you are aiming to lose weight with the help of yoga, you should be ready for serious work. The fact is that these exercises help to save the achieved result for a long time. You will need to engage in regular and complex work. It is the only way to observe qualitative changes. You will not regret, as the benefits of yoga for weight loss are countless. Your metabolism will be improved. Your whole body will be cleansed of toxins. The digestive system and respiration will significantly work better. So the result will not keep you waiting. While doing yoga for weight loss at home, follow some basic rules. Before starting doing the asana, be sure to warm up. In such a way, you prepare the muscles and reduce the probability of stretching. But do not be too hard. 5-10 minutes will be quite enough. Do not exercise yoga on the shaping principle. Quickly and without the rest. Here, everything is exactly the opposite. You need to do the exercises, without haste. But with taste, while receiving pleasure. Between 2 different exercises, you should take a break. At least two minutes so that your body can relax and have a rest. All movements need to be done with a positive mood. A person who constantly complains about pain or unsuccessful attempts will never achieve his goals. Everything in our life must be done with a smile. And then fate will surely smile in return. It is best to do yoga in the morning or afternoon. And if you can’t force yourself to get up half an hour earlier in the morning, then start exercising right after work. The last exercise must be completed at least four hours before bedtime. This rule is explained very simply. Strength or any other kind of yoga gives a huge amount of energy. So if you decide to do yoga for weight loss at night, then it will be hard for you to fall asleep. The simplest asanas are performed standing. Although they are considered to be the simplest exercises for beginners. Their correct performance leads to the abdomen, sides and the pelvic region fat loss. The fat from the arms and legs is also effectively removed. By doing them, you will understand if yoga helps you lose weight. You must feel comfortable. Your clothing must be loose. So it will provide you with comfort while exercising. Also, it is desirable to exercise barefoot. You need to breathe through the nose. The room must be ventilated. Of course, you should start every physical activity very carefully. You should remember that untrained muscles can be hurt if you overstrain them. Therefore, you need to start exercising yoga for weight loss little by little. Yes, the result will not be noticeable immediately. But believe that it’s worth it. So, take your willpower into a fist and start doing yoga asanas. Beginners should remember that yoga for weight loss is not just slow exercises aimed at losing weight. But a whole complex of spiritual and physical practices. They are aimed at developing the personality. And the weight, in the process of exercising, comes to its normal level. Besides, nutrition is worth paying attention. Do not overeat a variety of products that you can find on the store shelves. If you lead a healthy lifestyle and eat properly, good mood and thin waist are guaranteed. Thanks to yoga, you can significantly improve your mood. Feel lightness throughout the body. And if you still have a couple of extra kilograms, then this type of exercise is recommended. To motivate you, we can claim one thing. Yoga for weight loss is not only taking care of your appearance. It is also a health improvement. After all, do not think that fat from the whole body accumulates in your stomach. It surrounds all your internal organs. In such a way, preventing their normal functioning. We should also break the myth that losing weight is almost impossible. For some reason, many women believe that it is impossible in 2 cases. It’s when you do not starve and do not spend all your free time in the gym. They think you will never be able to get rid of those extra kilos without it. Absolutely not true! Yoga for weight loss is really effective. Burning extra calories comes from performing special static exercises. Besides, breathing plays an important role. In general, the way we breathe has a huge impact on our lives. It is due to recent research. Thanks to various breathing techniques, we can not only lose weight but also raise our mood. Besides, relieve stress, improve blood circulation in the body, etc. Yoga for weight loss is suitable for those who have never played sports. Especially for beginners. A huge number of complexes have been developed. Thanks to them you can be drawn into the process without causing harm to your body. Our experts have experience in practicing various yoga asanas for weight loss. Here they share the obvious changes in their appearance. As well as in the inner world. 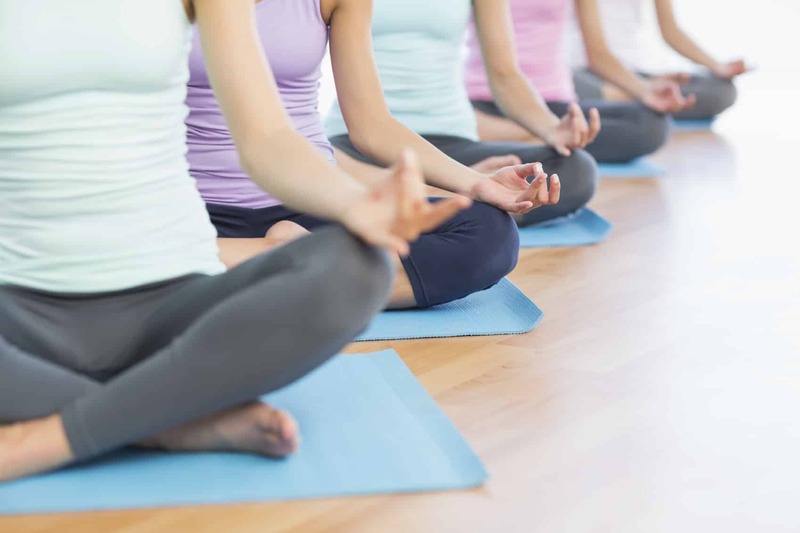 Let’s get to know the benefits of yoga for weight loss relying on our expert’s experience. From my own experience, I can say you need 2 things for losing weight. There are regular physical exercise, such as yoga for weight loss, and healthy nutrition. You should follow it constantly, all your life. Not a temporary diet. Concerning the loads, running for 45 minutes a day is the best variant. It is worth starting from 15 minutes when running on a hard surface. You should buy special running shoes. Otherwise, damage your joints. As alternatives, you can use pool, bicycle, gym. The last is my favorite. Because you need to do it 3 times a week (45 minutes – 1.5 hours). And it’s very easy to enjoy it for life. Yes, you can train a press and hips in the gym. You know that it looks very nice on women. What concerns food, look at the Harvard nutrition pyramid. You will lose weight using yoga asanas only in case you spend more calories than consume. Really, it seems to me that it is a rather effective way. I do not understand how people who never practice yoga for weight loss can say something about it? I did yoga every day for 1-2 hours. As a result, I lost weight quite fast. The elasticity of muscles appeared. My head began to hurt less often. Although I performed inclines that always made me feel bad (poor blood supply to the brain). Of course, without proper food, the result would not be the same. But I did not change it. As before, I ate every 3 hours for 200 g. Refused roasted food, everything sweet. I allowed myself bakery products only to 12. And that’s all. I have lost nearly 25 kilos. Now we have a dog. So she doesn’t allow me to calmly practice. As a result, I became involved in the anaerobic exercise in the gym. So do not listen to people who have no idea about yoga! Try to practice for a couple of months regularly. Up to 5 times a week. Exercising yoga for weight loss, see what happens. You are supposed to lose weight, as I did. After a month of yoga classes, I began to notice that my diet had completely changed. If you are seriously intended, then something is automatically excluded from the diet. Your habits change. My relatives noticed that I almost stopped drinking coffee. But I do not want to. I drink a lot of water, for some reason, it attracts. I noticed with surprise that I, the terrible sweet-tooth, had forgotten about sweets. I cannot remember when I had eaten a sweet the last time. My body seemed to be drawn to a normal and healthy diet. When I did yoga, I lost weight. Moreover, I became younger, refreshed, my whole body was tightened. Even the skin and facial contours became clearer. I completely agree with all yoga followers. Personally, I do yoga for weight loss for 2 years 6 times a week for 50 minutes. I didn’t suffer too much. My weight was 65. Now it is 60 with height 165. At the first stage, at least, the body pulls up. Despite the fact that the weight does not decrease, but you obviously look slimmer! Indeed, the need for sweets decreases. You want to eat fruits and vegetables. But does not refuse meat or coffee. There are a lot of twists in yoga for weight loss. Due to them, fat is burned and, accordingly, volumes are reduced. And most importantly, you gain confidence in your capabilities. What was previously impossible to now seems to be done easily and naturally. I highly recommend yoga! Most physiotherapy specialists have positive reviews concerning yoga for weight loss. No wonder, as many asanas are similar to exercises for the treatment of the thoracic and cervical regions osteochondrosis. Yoga repeats those exercises that were created by doctors for the spine. Besides, it is beneficial for proper breathing. It is useful for both the lungs and the cardiovascular system. The most important thing is not to overdo it. And even better – to exercise asanas with the coach. At least for the first time. Until you master the standard poses. Then you can do it yourself at home. Actually, we did not observe any negative feedback from experts exploring the effects of this gymnastics. The only doctors who advise treating yoga with caution – orthopedists. No, they are not against this kind of gymnastics. But they insist on a responsible approach to the exercises. Traumatic brain injuries and recent spinal injuries. Organic heart disease, blood diseases. Infectious diseases of the musculoskeletal system. Besides, you should not start with difficult poses. 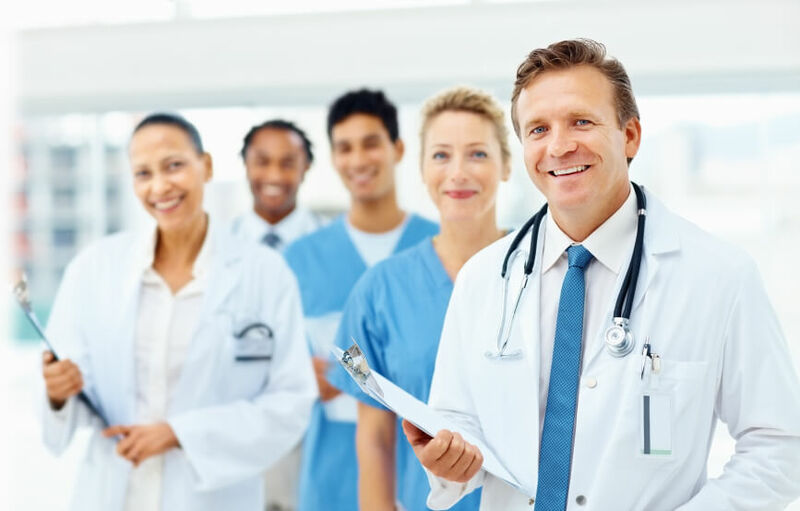 Doctors advise working under the supervision of a coach. The main thing while practicing yoga for weight loss, is to listen to your body. And if asana causes pain or discomfort, just stop doing it. Before each asana, don’t forget to do warm up. And do not grab all the exercises at once. Otherwise, you can not avoid bruises and torn ligaments. Be careful! To conclude, despite the worldwide popularity of yoga for weight loss, not everyone will like it. Many people write in their reviews that chanting mantras and asanas are boring. It is not for those who want more dynamics. We advise you to go to test classes. There you will try basic asanas and understand whether you like it or not. As a rule, they are free. Good luck!